Could you sum up Britain’s cuisine is just a few dishes? If we asked the nation to do this we would probably see favourites such as fish and chips, steak and ale pie, a roast dinner and plenty of others including curry making the list. A few months ago though, the people of Spain voted from a shortlist of 20 dishes to decide what the seven gastronomic wonders of their nation should be. 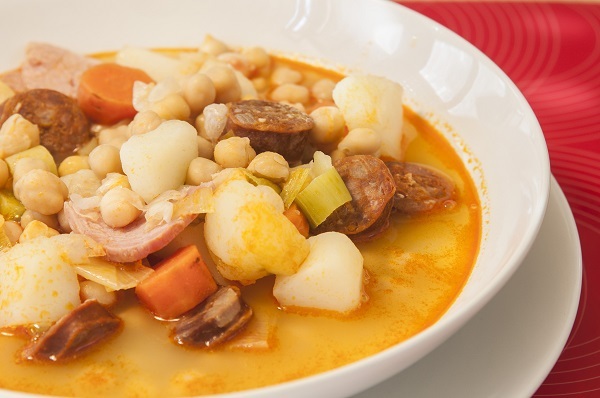 The options included regional delicacies such as ‘alcachofas con almejas’ (clams and artichokes from Navarre), ‘migas extremeñas’ (a breakfast dishes consisting of breadcrumbs, bacon, peppers and garlic from Extremadura) and ‘cocido madrileño’ (a stew from Madrid), but it was a traditional Canarian dish that won out overall. 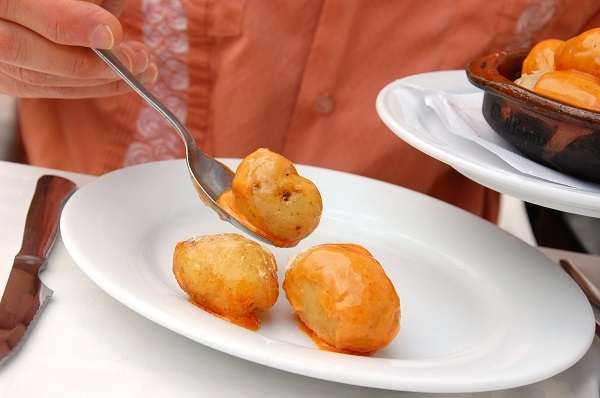 After more than 70,000 votes, papas con mojo or papas arrugadas, as they are sometimes called, were ranked number one by the Spanish public. We have written about these small, wrinkled potatoes in a previous blog post and they are very simple to make. The humble spuds are boiled in their skins in water that has been heavily salted, before being served with two sauces – one green made with coriander and one red made with peppers. 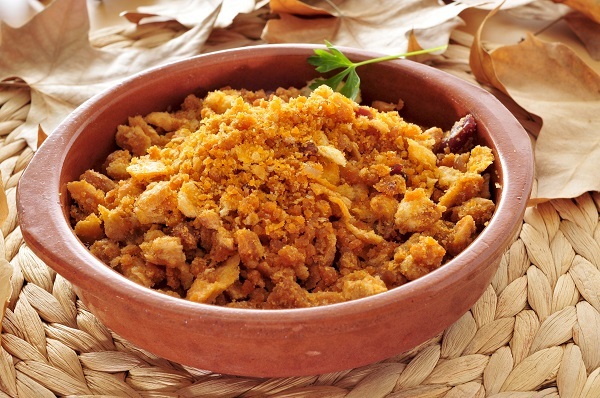 The popular dish is usually eaten as a starter or an accompaniment to meat. 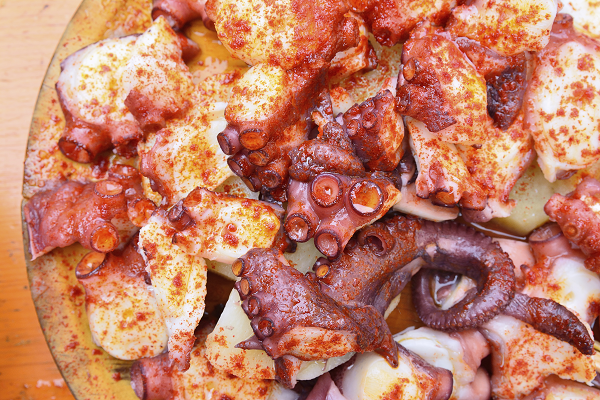 Other recognisable dishes to make the final list of seven include Valencian paella, Galician octopus and Ibérico ham. However, papas con mojo won by quite a considerable number of votes, helping to cement Canary Islands cuisine at the forefront of Spanish cooking. The project was promoted by Alliance Insurance with the hope of highlighting that the country’s food is worthy of being acknowledged by UNESCO’s Intangible Cultural Heritage list. Each year, UNESCO chooses various aspects of world culture that cannot be seen but that deserve to be protected. It’s hoped that a dish which is enjoyed so much on La Gomera will gain the attention of the organisation. If you wish to try Spain’s number one gastronomic wonder, the Hotel Jardín Tecina is a great place to start. Contact us today for the latest winter sun deals.